Lee Wong, Reloc8 Asia Pacific Group’s Singapore partner shares insights into Cultural Challenges in Singapore. 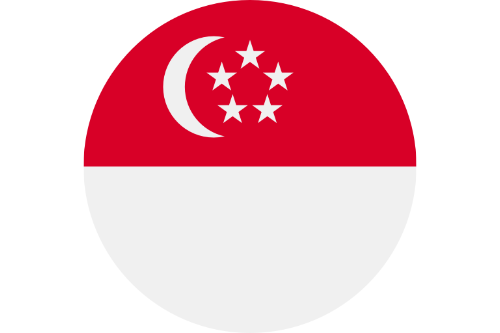 Singapore is a plural society, comprising a multi-lingual, multi-ethnic and multi-religious people. The population is made up of four main ethnic groups, namely Chinese, Malay, Indian and Eurasian. The different ethnicity means we share many common traits and practices with our neighbouring South East Asian countries. On the surface, Singaporean’s appear to be very modern and westernized. However, there are many subtle differences in the local culture/s that a foreigner will find fascinating. In many ways the local customs and courtesies of Singapore are very different from the traditional good manners and etiquette of a western culture. What constitutes good manners in one society may have exactly the opposite effect in another. Singaporeans believe in equality, and everyone is treated equally regardless of race, language or religion. Yet, hierarchical relationships exist in this society where special groups of people are treated with special respect and courtesy, like respect for our elders, employers, teachers, and parents. The behavior and attitude in the classroom, workplace or home are therefore governed by this call for special respect and courtesy. For instance, to question a teacher or employer may be seen as to challenge them, to contradict our parents may be construed as to criticize them, and to agree is a show of the greatest respect. The term of addressing someone can also be quite puzzling to a newcomer. Suddenly your family circle has expanded to include a total stranger calling you “auntie” or “uncle” according to your gender. This again is just a reference of respect for your age by a child or adult, if they think you are older than they are. Singaporean’s simply love food and never tire of discussing “where to eat” and “what to eat”. It has also influenced the way we greet each other by asking “have you eaten?” rather than “how are you?” As a guest, you will be treated to the best food that a Singaporean host can offer. This can mean some exotic and very expensive dishes that your host wishes to share with you. It is therefore considered very rude to reject the generous offer and it is recommended that you have ready a good excuse to gently refuse to try or refuse a second helping. Being a multi-racial society means we get to celebrate festivals of the different ethnic groups. It helps to be acquainted with some of the local customs and practices especially relating to important family events such as marriage, birth of a child, and important festivals which take place throughout the year. The appropriate gifts to bear for such occasions like wedding or new year celebrations; the most common being monetary gifts in red packets. The dress code to wear when attending a wedding or a birthday celebration; preferably not mourning colours. In a society where one is ranked according to seniority in age, position one holds at work, or academic achievements, there is always a place for good manners. The golden rule is never to cause anyone to “lose face” as this will be long remembered.